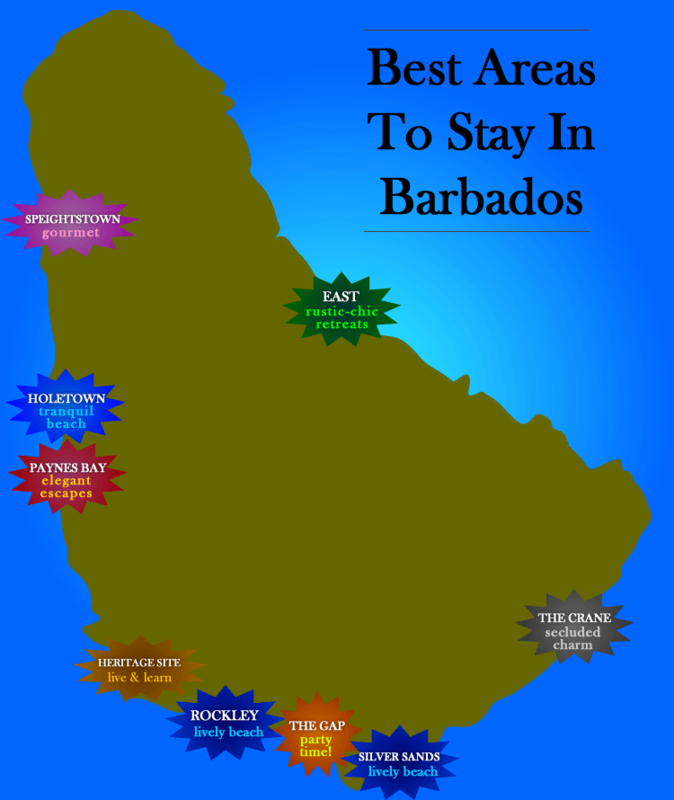 For active and fun beach vacations in Barbados, the best areas are on the south coast of the island where lively waves create perfect conditions for all sorts of watersports such as kayaking, boogie boarding, kitesurfing and windsurfing. The best areas are Rockley - where you'll find excellent hotels located on or steps from lovely beaches and close to restaurants, shopping and bars - and Silver Sands for more secluded accommodation on windswept shores. Located just steps from Rockley beach, Blue Horizon Hotel offers relaxing accommodation and easy access to the beach, restaurants, bars and nightclubs. For a luxurious vacation right on the beach, book your stay at Silver Point Hotel. This is the perfect spot to enjoy the lively waves and watersports at Silver Sands beach. Head to the west coast of Barbados where tranquil waves gently lap golden shores. Accommodation on the west coast tends to be more expensive than the south but there is something for every budget. We recommend staying in the Holetown area, where you'll find stunning beaches and a wonderful boardwalk for strolling. You'll love dining at the excellent cafes, beach bars and world-class restaurants. Holetown is right on the main bus route so you can easily get out to explore the island. Tropical Sunset Beach Apt Hotel is an excellent self-catering option in a spectacular beachfront location. Enjoy an all-inclusive vacation at Mango Bay Resort located on the beach in the heart of Holetown. Watersports are included with your stay. Gracious accommodation and tropical gardens await you at Discovery Bay Hotel, located on the beach just steps from wonderful watersports and the boardwalk. The east coast of Barbados offers the ultimate escape from the stresses of life. Here you'll find a ruggedly beautiful landscape, small villages, friendly residents, and comfortable accommodation away from the crowds that frequent the west and south coasts. 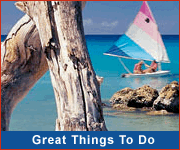 This is a wonderful area for hiking, exploring tropical gardens, beach walks and collecting seashells. The Tent Bay, Bathsheba and Cattlewash areas provide an invigorating getaway... places to recharge and rejuvenate surrounded by the beauty and tranquility of nature. Tropical gardens, hammocks, palm trees, and the sounds of the ocean... all make Eco Lifestyle Lodge a very special place to stay in Barbados. Awaken each morning to sunrise over Cattlewash when you stay at the amazing Santosha resort. Spend your days relaxing on the beach or pool, or exploring the countryside. Along the stunning west coast of Barbados is the collection of Elegant Hotels resorts & spas. These delightful hotels combine genuine Caribbean hospitality with impeccable service and facilities for the ultimate luxury island escape. Located in the Paynes Bay area, you are close to some of the islands' best restaurants for when you choose to dine off-site. Elegant Hotels offers a water taxi service so you can stay at one hotel yet also enjoy the beaches and facilities of the other lovely Elegant Hotels properties. A vacation full of relaxation and adventure awaits you at the stunning Tamarind hotel on the luxurious west coast. Rejuvenate your mind and body as you escape to the ultimate luxury of a holiday at Waves Hotel and Spa. Experience the ultimate adults-only luxury holiday on the shores of Paynes Bay at The House by Elegant Hotels. Get away from the crowds,to locations where old world charm meets modern island living for an independent holiday escape. The Crane area offers magnificent cliff-top accommodation, tropical beaches with lively turquoise seas, quaint dining spots, and seclusion from the bustle of other holiday makers. Barbados has a very vibrant music and party scene, with live entertainment and DJ music throughout the week at hopping nightclubs and bars. St.Lawrence Gap is the best area to stay for a vacation filled with partying. Clubs, bars and restaurant are just steps away from your accommodation. Spend your days recovering on the beach and experiencing thrilling watersports. It's the best of both worlds... enjoy the nightclubs a 5 minute stroll away plus relax on an amazing beach at Southern Palms Beach Club. The oceanfront Rostrevor Hotel is located right in the centre of the main Barbados party district - St.Lawrence Gap! For a luxury party vacation in Barbados, the place to stay is Divi Southwinds Resort! There are lots on on-site activities, and the clubs are a 5-minute stroll away. Learn about Barbados' rich history as you visit the many excellent museums including the Barbados Museum and George Washington House, and take heritage tours of the island. Barbados' capital city Bridgetown and its historic Garrison form a UNESCO World Heritage Site. We recommend staying here so you can stroll around the site, soaking in the history and admiring the architecture. The site is located along a stunning coastline, making for a wonderful combo vacation of heritage and beachlife. You'll love the beachfront rooms and dining on the jetty at Radisson Aquatica Resort, located directly on Pebbles Beach! Island Inn Hotel magnificently combines old world charm with modern amenities for a stunning Barbados holiday experience. Barbados is known to have some of the finest restaurants in the Caribbean, with professional chefs blending international techniques and cooking styles with the freshest local ingredients. The island also takes casual dining to a new level with delicious local favourites such as macaroni pie and fresh fish enjoyed at laid-back beach bars & roadside stalls. In and around Speightstown on the north-west coast of the island, you'll find some of the island's best restaurants. Use this as your base for exploring the culinary delights of Barbados. Fish Pot, the restaurant at Little Good Harbour hotel offers gourmet Caribbean and international dishes in a stunning seaside setting. Stay at Cobblers Cove hotel and enjoy exquisite dining at Camelot restaurant with seasonal menus featuring island ingredients & flavours.